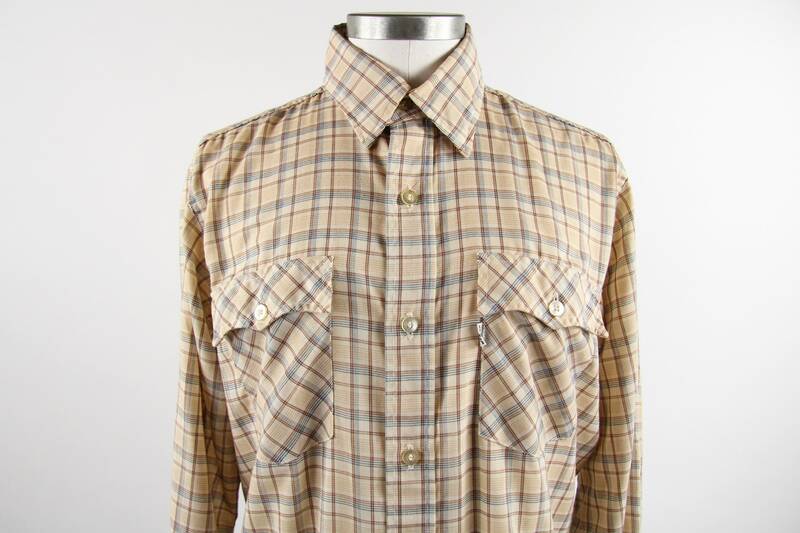 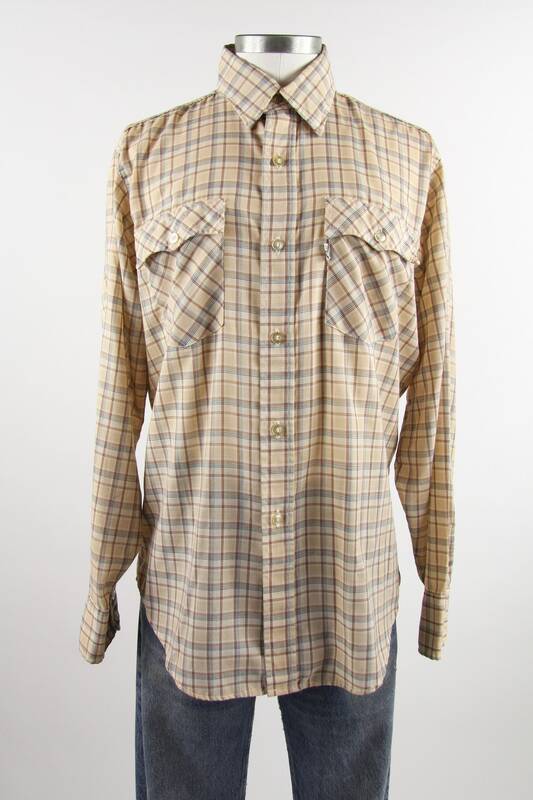 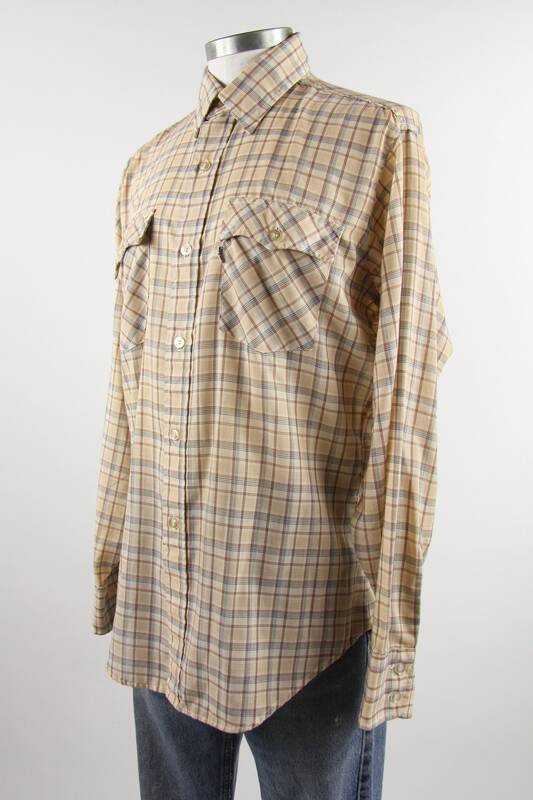 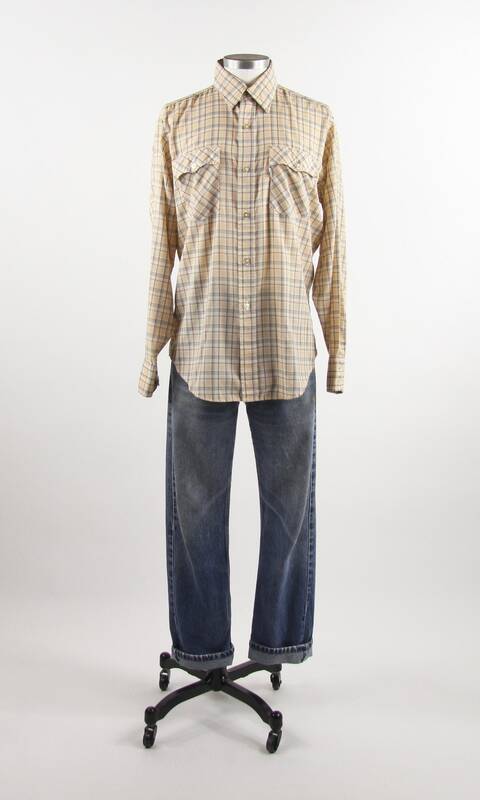 An awesome men's vintage Levi's button up shirt. 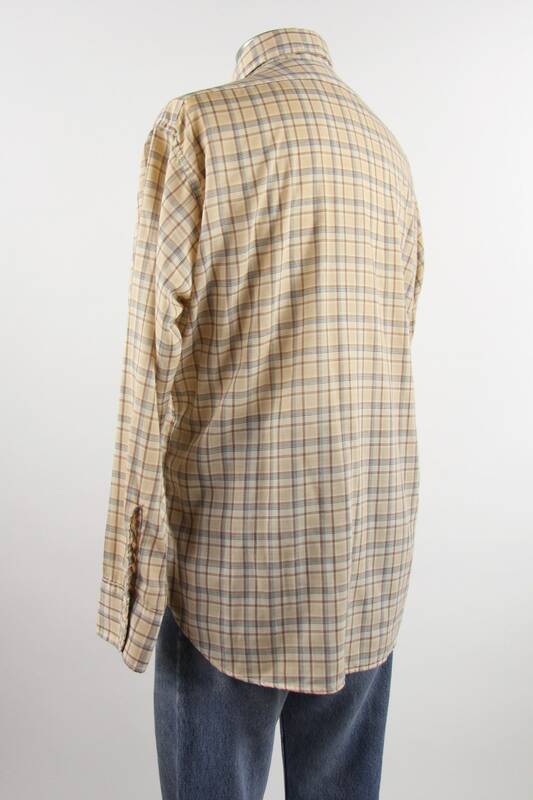 Very soft and in great condition. 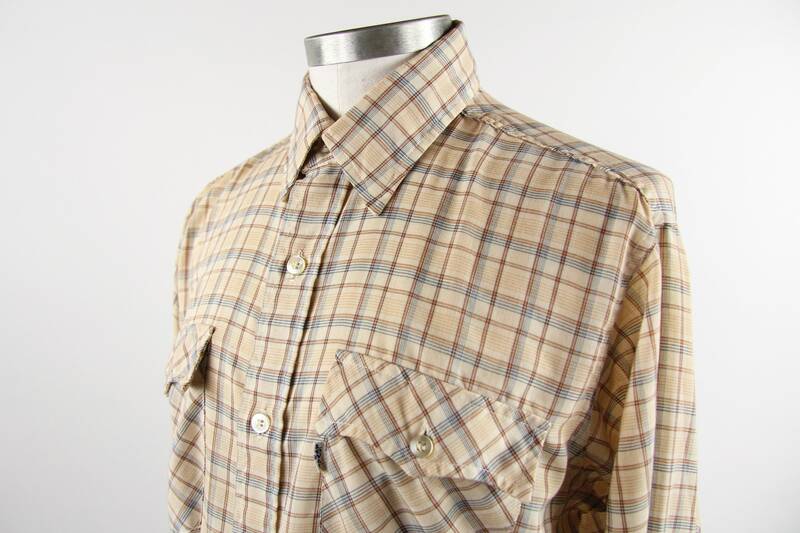 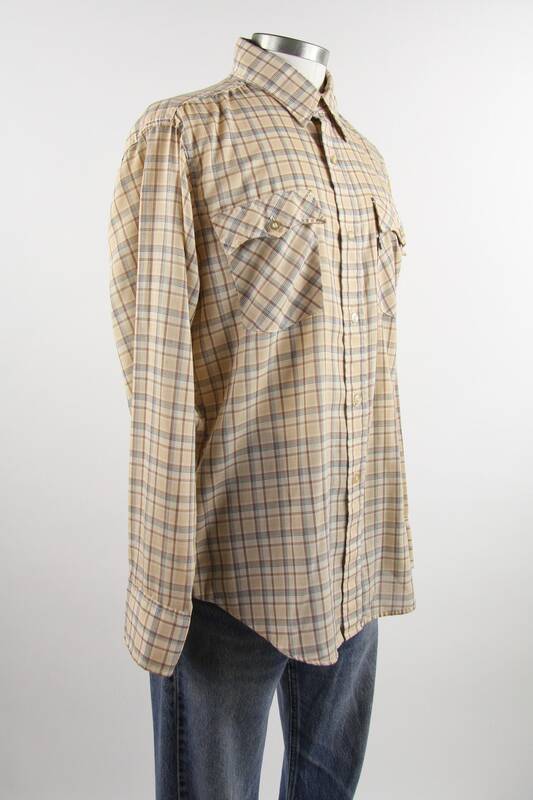 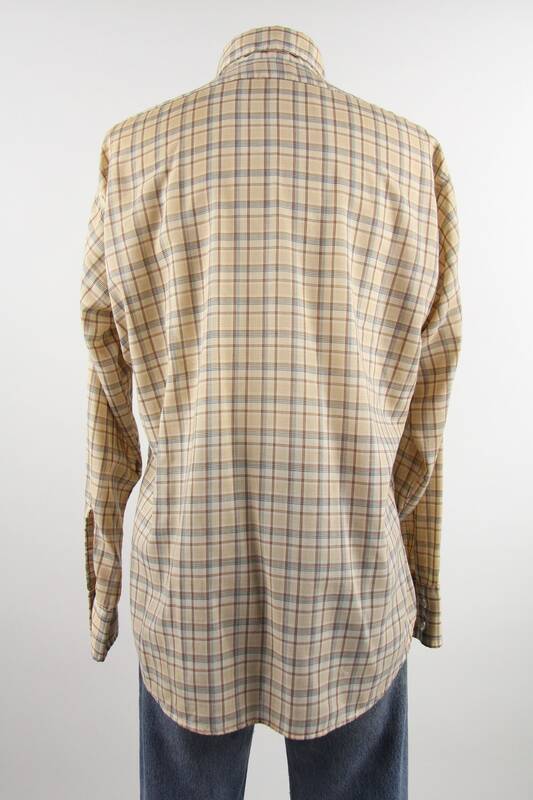 Classic plaid pattern with brown, tan, and navy colors. 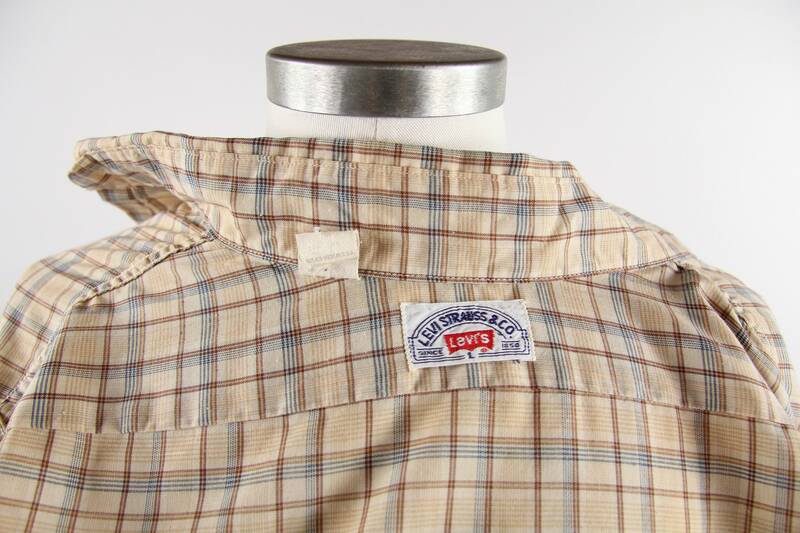 Lightweight material for a great summer shirt. 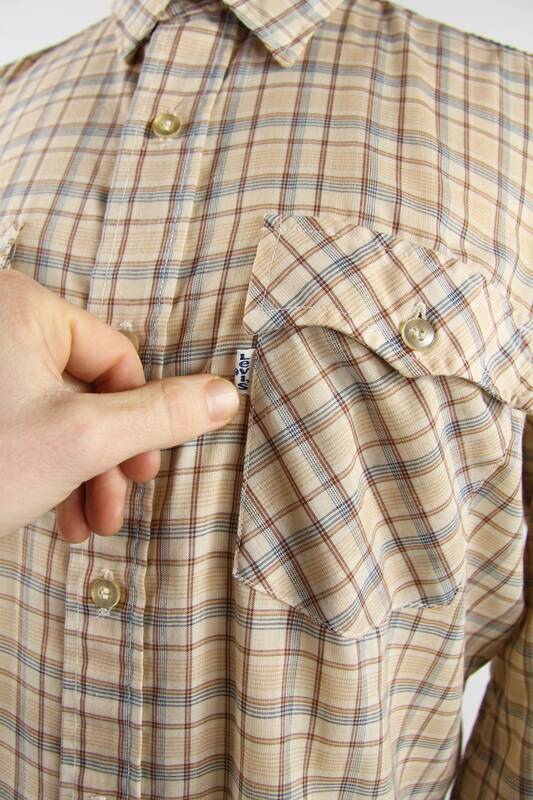 Check out the old school Levi's tag!